With its ease of integration in your operating room, the OwandyCam is always within reach. Thanks to the docking station and USB2 connection, you can move and share the camera with your colleagues and associates with ease. Easy to hold in the hand, the OwandyCam is the essence of sturdiness and finesse and can be easily disinfected thanks to its simple, refined design. 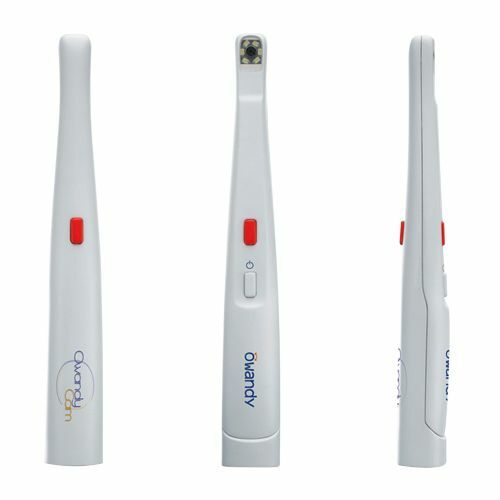 The 6 LEDS on the head of the endoscope spread light effectively in the mouth and generate clear, high-contrast images. Colour reproduction is faithful and optimised. The OwandyCam helps you to share with your patients a true, exact vision of the state of their dental anatomy, which has proved to be an excellent way to obtain their informed consent. After being selected, framed and retouched, each image is archived in the patient file. For treatment monitoring viewing of the files is facilitated. Moreover like all the products in the Owandy range, it is integrated in all the QUIVISION by Owandy software. This complete integration saves you time in making a diagnosis and in patient care. The USB2 interface optimises compatibility with and connection to all recent computer models. Its wide angle lens requires no manual adjustment, a cause of imprecision and loss of time. Enabling the capture of images up to 1280x1024 pixels, thanks to its ¼ inch CMOS sensor, the OwandyCam offers the best image quality/functionality ratio. 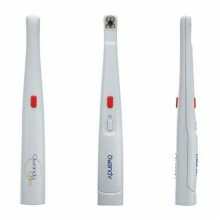 Owandy’s new intra-oral camera combines the benefits of video and the latest digital technology. Compact, convenient and totally ergonomic, this camera will surely revolutionise your practise. Click the button below to add the OwandyCam Intra-Oral USB2 Digital Camera to your wish list.